Drilling has never been easier – its low weight and compact, ergonomic design make this tool exceptionally comfortable and easy to handle. 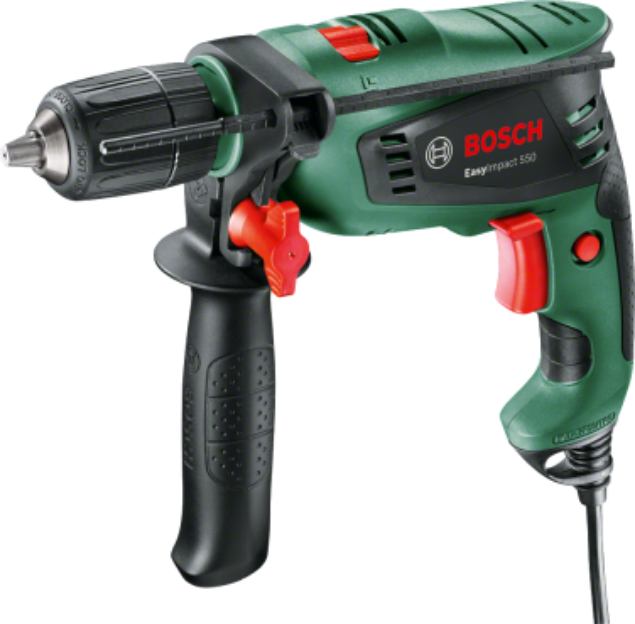 High drilling power despite compact design: This compact powerhouse from Bosch makes easy drilling child’s play – in all materials, even concrete. Screwdriving/Drilling/Impact drilling function switch for material-specific work Twin-sleeve keyless chuck for easy bit changes Bosch Electronic speed control: “accelerate” from 50 – max. using the trigger switch, which enables fingertip control of the power, e.g. when starting to drill in smooth surfaces and when driving screws Compatible with the Bosch Drill Assistant for even greater precision: Easily set the drilling depth and work dust-free (optionally available as an accessory) Auxiliary handle with anti-slip function: Positive engagement fit prevents auxiliary handle from slipping off the collar New ergonomic design with even more softgrip for the best handling Forward/reverse rotation: Also ideal for screwdriving Convenient to use due to integrated switch for continuous operation Cable guide with hanging hook for practical storage. Cleaning Performance Redefined! With new rotational airflow technology.3 strong rotational airflows for high cleaning efficiency with minimal loss of suction power throughout usage! Powerful motor delivering a vacuum pressure of 6 kPa and long runtime of 7 minutes per Ah Quick release dust-emptying function and washable dust cap provide an easy-to-clean tool.